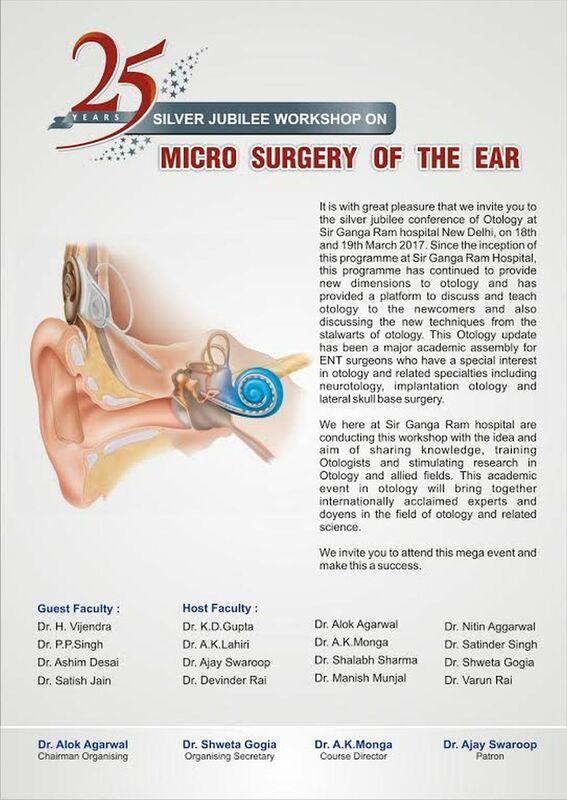 Otolaryngology Update: 25th Silver Jubilee Workshop of Micro-ear Surgery, 18th and 19th march 2017 at Sir Ganga Ram Hospital, New Delhi. 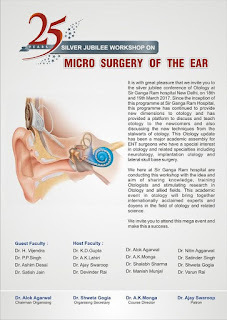 25th Silver Jubilee Workshop of Micro-ear Surgery, 18th and 19th march 2017 at Sir Ganga Ram Hospital, New Delhi. We request the pleasure of your participation in the 25th otology conference at Sir Ganga Ram Hospital New Delhi- 2017 being organized by the Department of Otorhinolaryngology and Head and Neck Surgery, on 18th and 19th march 2017 at Sir Ganga Ram Hospital, New Delhi.